“The DWP went from an assessment system which fairly assessed fitness to work using a doctor and other professional consultants, with information taken from relevant sources to support the claim, to a system which mostly uses random idiots with some vague health qualification assessing with the aid of a computer based system deliberately designed to find any excuse to find people fit to work. And if that fails they sometimes outright lie. A good graphical summation of the damaging effect the Tories have had on the lives of the most vulnerable in our society. Please share. The treatment of sick and disabled people continues to get progressively worse, yet there are few who speak out. The more of us who do the more likely it is that things will change. Frankly the lack of outrage against the government’s welfare reforms has shocked me. The fact that few speak out shames us as a nation. The fact that the Tories are allowed to do as they please while the lives of people who already suffer as a result of illness and disability ,which includes the mentally ill , are ruined, is something that I never thought I would witness here in the UK. The fact that the government gives concessions to corporations, ignores tax which is owed by big business while disadvantage people on benefits are plunged further and further into poverty is a grave social injustice that has no place in the modern world. Not to mention the psychological torment which has scarred many beyond anything that could ever have been envisioned a couple of decades ago. Contact your MP and demand a return to a more fair system of assessment and a standard of living for sick and disabled people that allows them to live as full and as meaningful a life as possible. This vile government has most definitely failed this test. 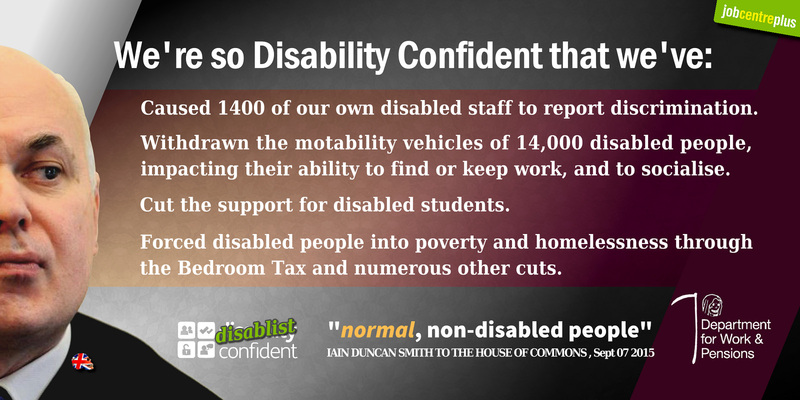 “Almost 14,000 disabled people have had their specialist cars taken away following a government welfare change. Approximately half of the owners who were reassessed under the scheme lost their Motability vehicle. With many fully reliant upon the specially-adapted vehicles, this new move could mean a loss of independence for thousands of users. The current scheme uses a government-funded allowance to help more than 650,000 people lease a new car, scooter or powered wheelchair. The Motability Scheme also helps disabled people fund the cost of adaptations such as a wheelchair hoist or hand controls. 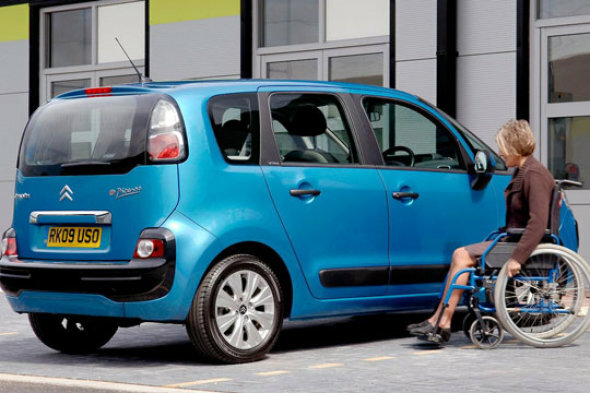 “So far, around 51,200 people have joined the Motability scheme using PIP. Note in the first article that the government have the audacity to claim that the changes are designed to be fairer!!!! Fairer to whom? Certainly not the 17,000 who are left without a mobility vehicle, not to mention the many new and deserving applicants who will be rejected by the private companies that do the unfair points scheme assessments. Scrap the change in rules for the Personal Independence Payment that reduces the distance threshold to determine if someone is eligible from 50 metres to 20 metres. This new reduced threshold does not reflect the true reality of the hurdles disabled people face not being able to walk more than 50 metres. 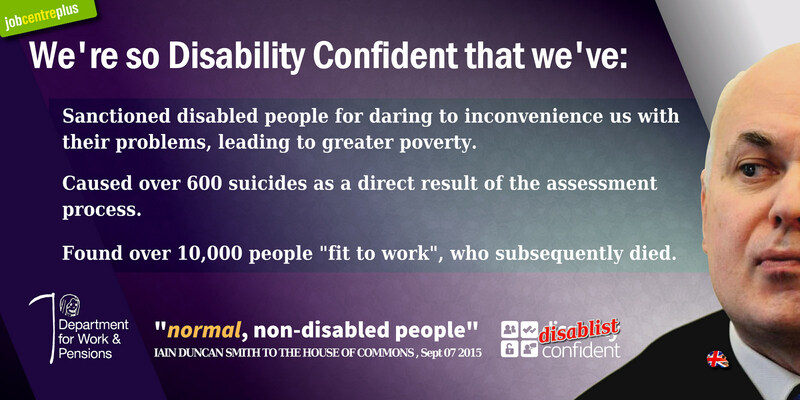 We are calling on Iain Duncan Smith to scrap this unfair change and return to the old standard of 50 metres. I urge you to re-think this obviously money saving measure and think about the impact in will have on the disabled, and your possible re-election. Please read more and sign the petition concerning the mobility allowance. I would like to think they do not represent the majority, and perhaps they do not though the majority of people are either ignorant as to what is happening to people on benefits or they are indifferent or simply too burdened with the misery inflicted on them by this government to have the energy or the wherewithal to do anything about it, for with the exception of the very rich in one way or another everyone has suffered. However the main target for the Tories, using the excuse of austerity, is the sick, disabled and unemployed. And it has to stop. Please read the following article which in addition to highlighting the shocking impact to a disabled women who needs her vehicle for work also gives a good description of many of the abuses which take place as a result of government welfare cuts, such as a reduction of income for those disabled people found not fit for work and placed in the Work-Related Activity Group who are to have their social security support cut by nearly £30 a week, from £102.15 to £73.10. A few years ago who would have thought that the UK would come under the scrutiny of the UN in regard to human rights violations against sick and disabled people? During the lead up to the next election here in the UK I am going to include a series of entries under the simple heading: Reasons Not to Vote Tory. These periodic postings will as the title suggests concern the many reasons why we should not vote conservative in the next election. Each post will centre on one issue beginning today with the shocking fact that sick and disabled people are suffering and dying as a result of the present government’s welfare reforms. Always though keep in mind that the Tory’s were invariably aided and abetted by their coalition partners the Liberal Democrats without whose support many of their draconian polices could never have been implemented. “For a government to be so implacable in insisting on its course of action without any resort to due care and attention is appalling. This issue has certainly not gone away. Still every week I hear of someone who has committed suicide due to some aspect of benefit or service cuts – and that’s just the very few that are ever reported. Many more people are in dire poverty due to cuts – and to needless sanctions. The Jobcentre has targets to move people off of benefits whether it is justified or not. Usually not. And the consequences are appalling. Many of our politicians and many civil servants need literally imprisoning for their part in fueling mass poverty and in particular for their responsibility for so many deaths. 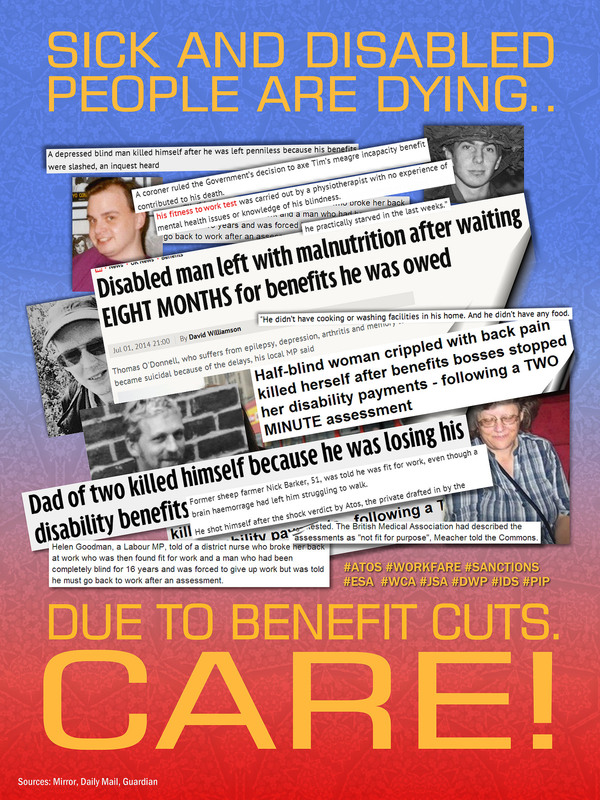 https://www.flickr.com/photos/november5/15032839585/ – larger sizes available of this and other posters with a creative commons license, ideal to spread the word about the coalition’s treatment of sick and disabled people and other issues. You would be amazed at how many people have fallen for the government’s scrounger propaganda, a deliberate and shameful Nazi Style campaign designed to turn people against the most vulnerable in our society. Here’ s an idea, why not print a few out and stick in public places, for example on the doors of public toilets for a captive audience. (Please use only blue tack or other method which does not damage surfaces.) People need to know what is happening to genuinely sick and disabled people in our society as a result of Tory Benefit reforms. Below is a list of some of the deaths that are connected to welfare reforms, there are thousands more. Former sheep farmer, Nick had a brain haemorrhage which left him struggling to walk. The father of two shot himself after the DWP claimed he was fit to work. Recording a suicide verdict, coroner Michael Oakley said the benefits assessment was key to the tragedy. Robert worked as a Government scientist but gave it up when diagnosed with severe cardiomypathy. 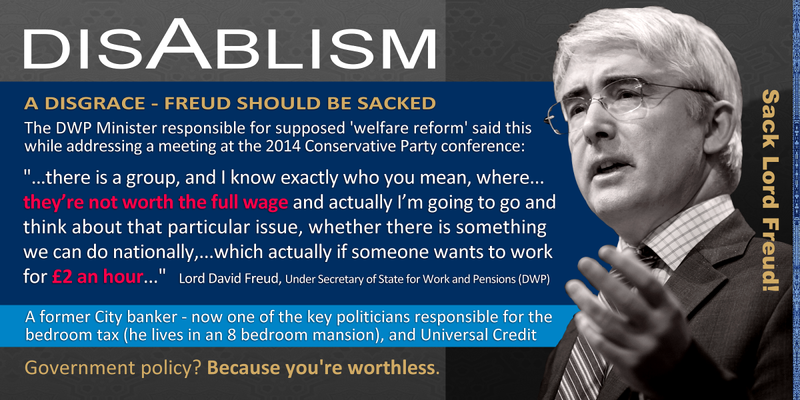 The DWP deemed him fit to work. He died penniless under 2 years later. Cecilia had cancer. Atos called her in for one of their assessments. The DWP declared her fit to work, but she appealed the decision. She died shortly after winning her appeal. As a result of ATOS work capability assessments People with serious health problems and disabilities have been declared fit for work. …a 39-year-old woman from Livingstone with a brain tumour was fit to work just weeks before she died and a double heart and lung transplant patient from Essex dying nine days after being declared well enough for employment. Colin, 59, from Flint, worked in the steel industry for more than 25 years, before a car accident and a nasty fall down the stairs finally forced him to give up work. His left hip and leg are so damaged that he is in constant pain and uses a stick to walk. But Atos assessors said he was fit to work, leaving him to live off Red Cross parcels while he waited for the reassessment. People with serious disabilities and health conditions are being left for weeks with no financial support as a result of Government changes to benefit assessments. …anyone wanting to appeal a decision that they are fit to work first has to have all their paperwork looked at again, while receiving no sickness benefits. The Citizens Advice Bureau believes this will result in thousands of people being wrongly forced to survive on no income at all. The Government said that this “mandatory reconsideration” would cut down on bureaucracy and take just two weeks, but some disabled and sick people are being wrongly assessed and left with no support for months on end. The UN are investigating the UK welfare reforms. 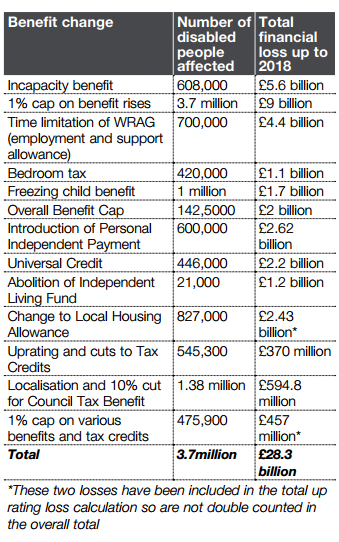 The above and other Benefit reforms have resulted in a UN investigation. Article 25 http://www.un.org/en/documents/udhr/ – clearly the government are in breach of this article and and many others as you will see if you read the entire declaration. Reforms such as the bedroom tax, unfair Work Capability Assessments with seriously ill and profoundly disabled people being declared fit for work, benefit sanctions for people on Employment and Support Allowance and other unfair reforms have left thousands in poverty, hopelessness and despair. According to Disability News Service the figures show that 2,882 decisions were made to sanction claimants of employment and support allowance in December 2013, rising to 3,750 in January 2014, them 4,698 in February and 7,507 in March, an increase of nearly 580 per cent since March 2013. Sanctions in some cases can mean no income – no money for food, gas and electricity, rent and so on. “Sanctions are cruel and can leave people utterly destitute – without money even for food and at severe risk of homelessness. It is difficult to see how they are meant to help people prepare for work. Over ten thousand people have died after being found fit for work, still others have taken their own lives as a result of fear, anxiety and stress as a consequence of vicious welfare reforms and unfair assessments. Untold thousands more have suffered serious detriment to their lives because of these reforms. According to the DWP’s own figures 10,600 people died during the months of January and November 2011. There are no records for 2012 and 2013. Therefore the number of deaths are much higher. The list of injustices to sick and disabled goes on, for instance DLA (Disability Living Allowance). 100, 000 people in Scotland where a roll out of PIP began in January of this year..
Scottish ministers said the Personal Independence Payment, which replaces disability living allowance, would result in thousands losing benefits. Well I could go on the list of injustices is extensive. Even if there were no other reasons not to vote Tory or Liberal Democrat surely the coalition’s treatment of sick and disabled people alone is enough not to vote for either of these right-wing parties whose interests are only for the rich and privileged in our society. What about Labour? Why not write to your MP or Milliband and ask him or her what they intend to do to rectify the injustices of the present government. At the time of writing as far as I am aware with the exception of the bedroom tax Labour have been quiet on the matter.